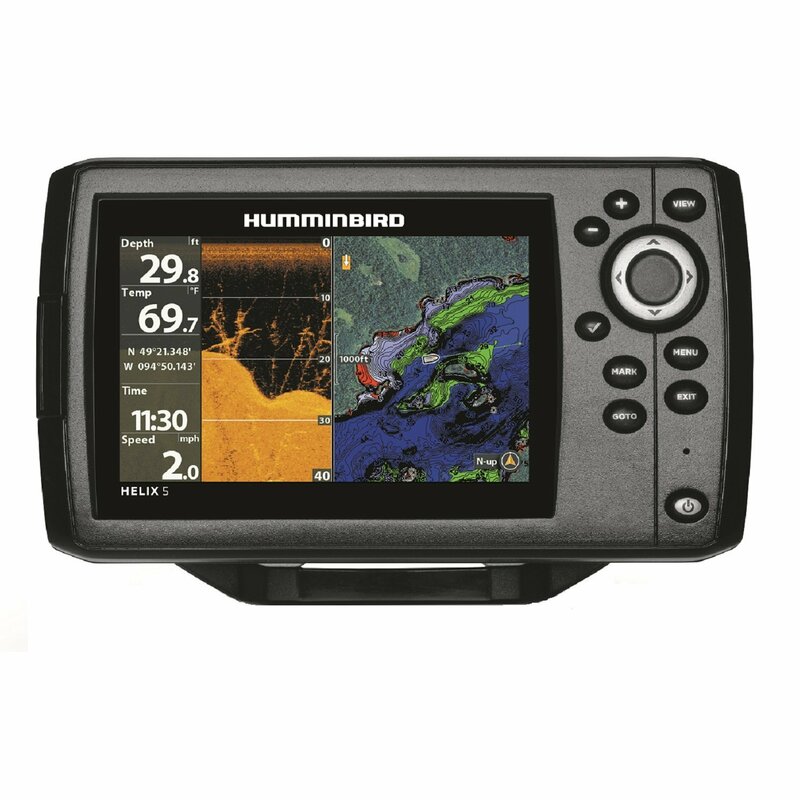 Garmin Oregon 400c | Our first look and more on marine electronics. The Garmin Oregon 400c is a compact sophisticated full-mapping handheld GPS with touchscreen control. Several original Oregon models are available, the hardware in each is the same, and only the onboard cartography in each unit varies. The Oregon 300 features a world base map, while each variant of the 400 adds specialized mapping. The 400t is preloaded with U.S. topographic maps, 400i has U.S. inland lakes, and our test unit the 400c packs U.S. Bluechart cartography. The latest iteration in this series is the Oregon 450 which adds memory capacity and doubles the maximum number of waypoints you can store. The Oregon 550 adds a 3.2 megapixel camera to the device. The Oregon is very compact and measures only 4.5-inches tall, 2.3-inches wide, and 1.2-inches thick. With a pair of AA batteries installed it weighs only 6.8 ounces. The 400c will store up to 1000 waypoints and 50 routes. By adding an optional microSD™ card you can further increase the units information storage capacity. The majority of the 400c face is filled with a 3.0-inch color TFT display screen which features a very high 240 x 400 pixel resolution. There are no buttons on the face of this unit except the touchscreen fields you find on the screen. The Oregon 400c shares a one special feature with a few of its cousins, including the Colorado, Dakota, and the new 78-series. It can wirelessly share data like waypoints, tracks, and routes with another compatible Garmin handheld GPS. This Garmin portable GPS is rated waterproof to IPX7 standards, meaning it can be submerged to a depth of 1 meter for 30 minutes without suffering any damage. The unit carries a 1-year warranty. All Oregon handheld GPS units also sport a built-in electronic compass, high-sensitivity GPS receiver, and altimeter. More to come when I get this unit out on the water for testing.